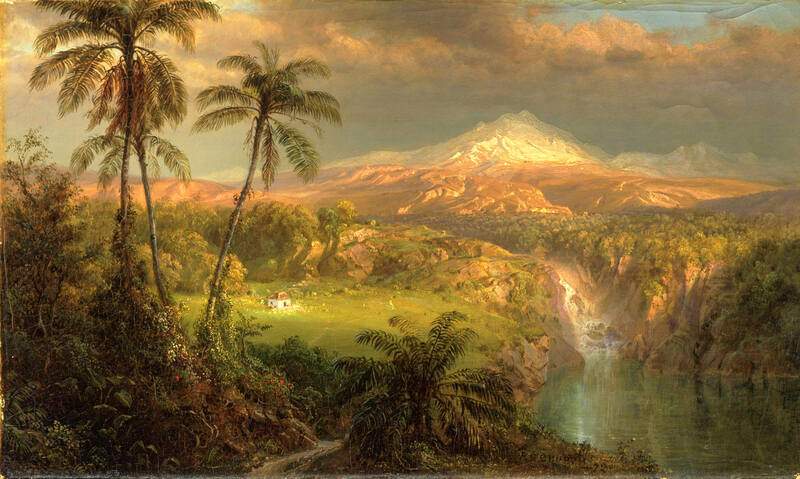 Frederic Edwin Church – Los Angeles County Museum of Art AC1994.152.2. 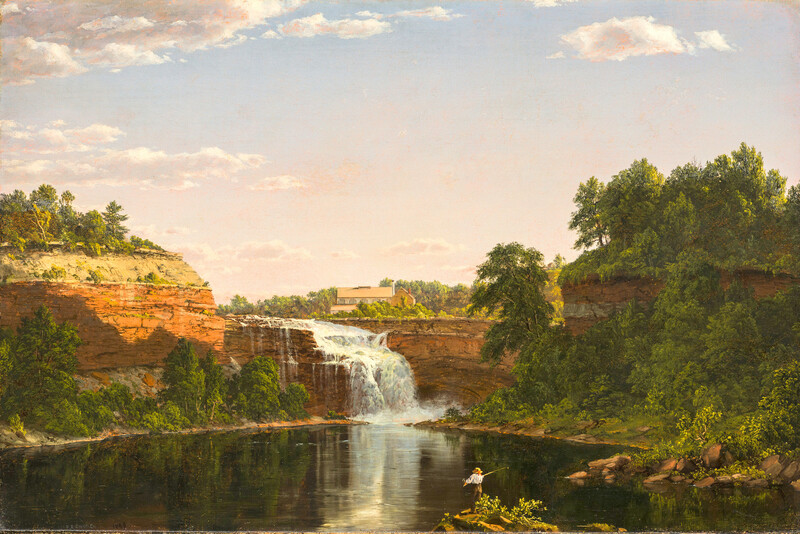 Title: Lower Falls, Rochester. Date: 1849. Materials: oil on canvas. Dimensions: 50.2 x 74.6 cm. Nr. : AC1994.152.2. Source: https://collections.lacma.org/node/176425. I have changed the light and contrast of the original photo. 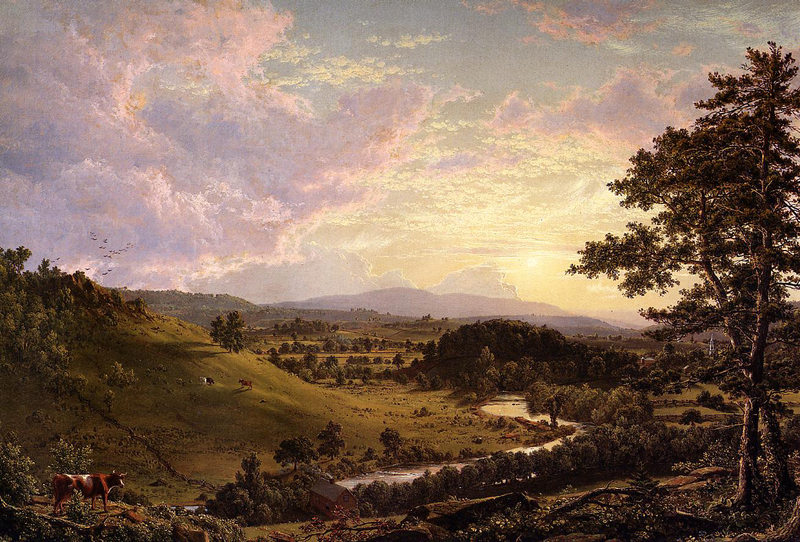 Frederic Edwin Church – Princeton University Art Museum y1945-212. Title: Passing Shower in the Tropics. Date: 1872. Materials: oil on canvas. Dimensions: 31 x 51 cm. Nr. : y1945-212. Source: https://commons.wikimedia.org/wiki/File:1872,_Church,_Frederic_Edwin,_Passing_Shower_in_the_Tropics.jpg. I have changed the light and contrast of the original photo. Frederic Edwin Church – Carmen Thyssen-Bornemisza Collection CTB.1990.5 (loan at the Museo Thyssen-Bornemisza). 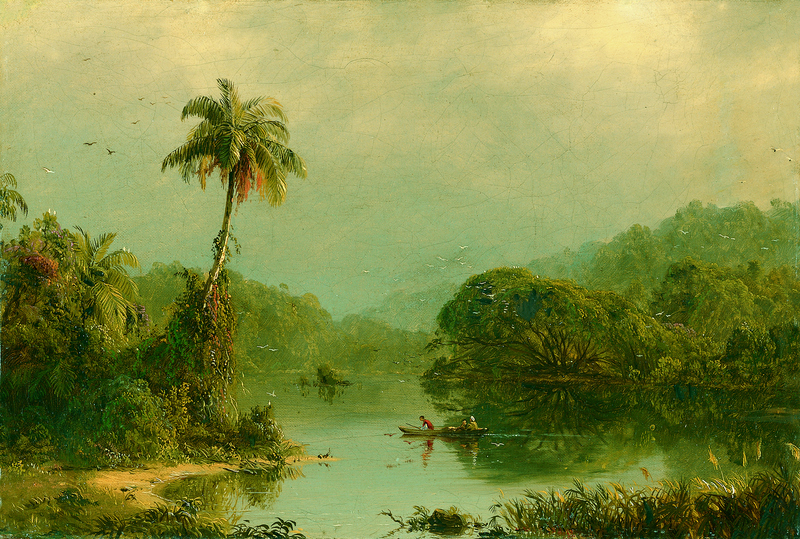 Title: Tropical Landscape. Date: c. 1855. Materials: oil on canvas. Dimensions: 28 x 41.3 cm. Nr. 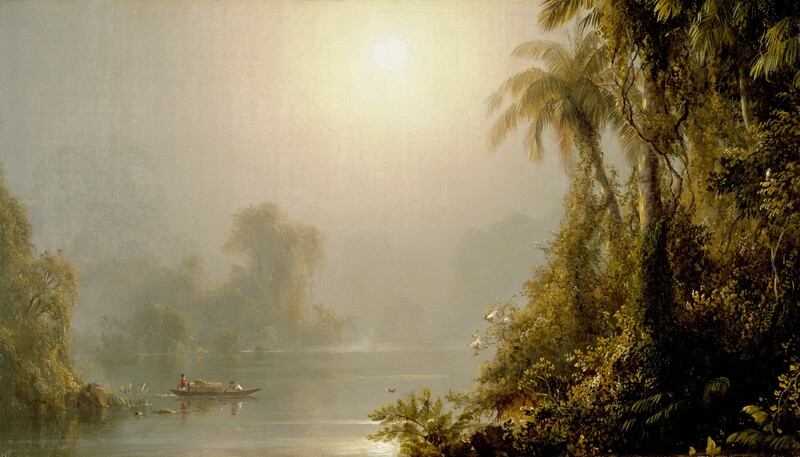 : CTB.1990.5 Source: https://www.museothyssen.org/en/collection/artists/church-frederic-edwin/tropical-landscape I have changed the light, contrast and colors of the original photo. Frederic Edwin Church – private collection? Title: View in Pittsford, Vt.. Date: c. 1848. Materials: oil on board. Dimensions: 29.7 x 41.3 cm. Source: http://farm2.staticflickr.com/1553/26376846065_7851eb7a01_o.jpg. I have changed the light and contrast of the original photo. Frederic Edwin Church – Montgomery Museum of Fine Arts 1989.0002.0005. Title: American Landscape. Date: 1853. Materials: oil on canvas. Dimensions: 56.8 x 85.1 cm. Nr. : 1989.0002.0005. Source: http://3.bp.blogspot.com/-qgYdXCKSqCg/Ucw3JJcV-4I/AAAAAAAAif8/9T3SBjffDQE/s1280/1853+American+Landscape+oil+on+canvas+56.8+x+85.1+cm.jpg I have changed the light and contrast of the original photo. 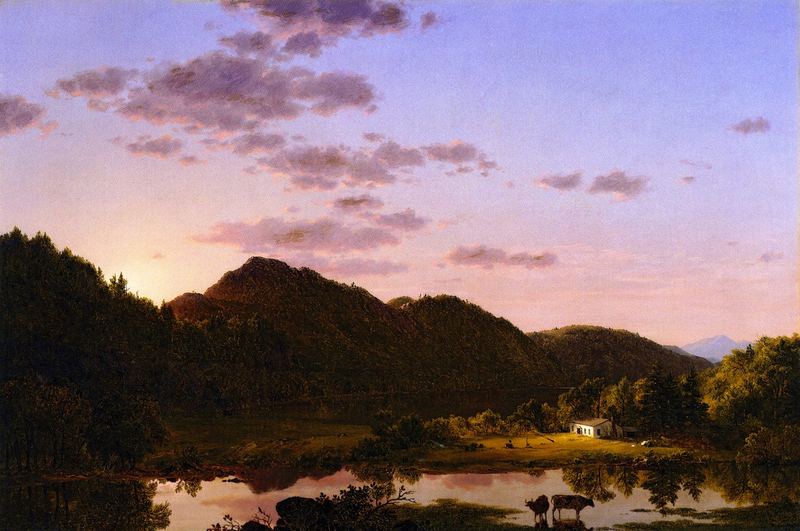 Frederic Edwin Church – The National Gallery of Art 2014.79.10. Title: Niagara. Date: 1857. Materials: oil on canvas. Dimensions: 101.6 x 229.9 cm. Nr. : 2014.79.10. Source: http://www.nga.gov/content/ngaweb/Collection/art-object-page.166436.html. I have changed the light and contrast of the original photo. 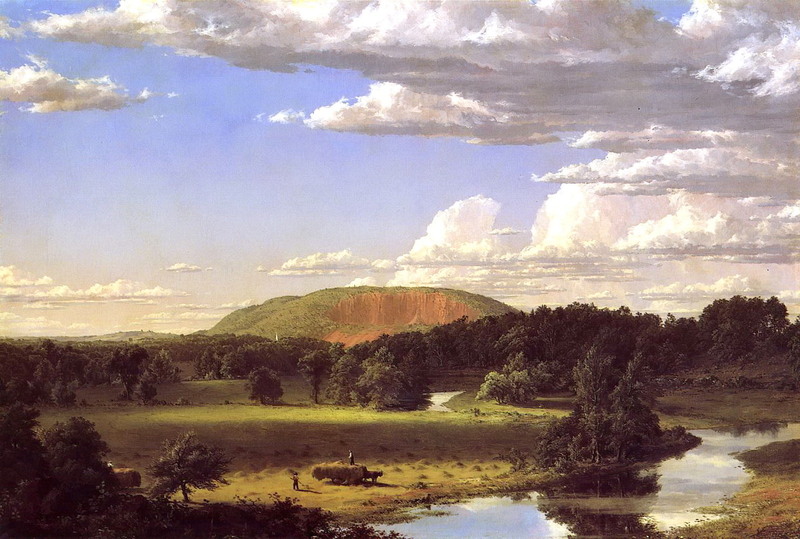 Frederic Edwin Church – The Amon Carter Museum of American Art 1979.11. Title: New England Landscape. 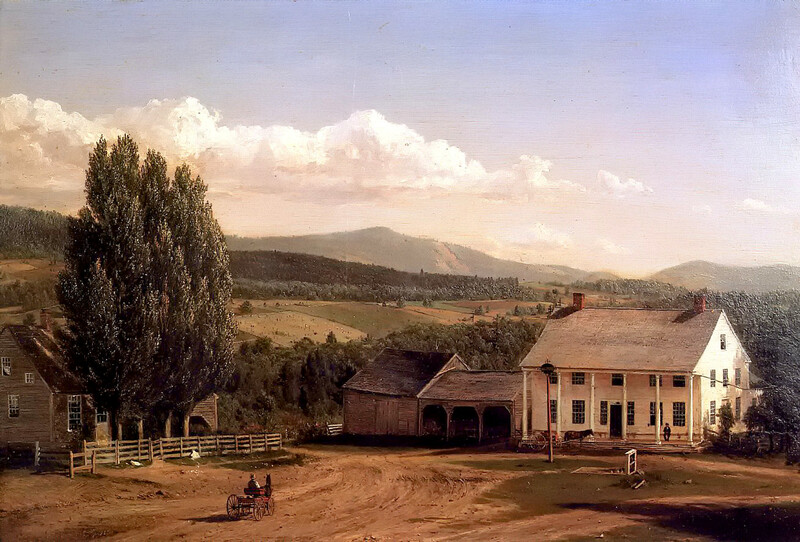 Date: c. 1849. Materials: oil on canvas. Dimensions: 63.8 x 92.1 cm. Nr. : 1979.11. Source: http://www.cartermuseum.org/imu/acm/imu/request.php?request=Multimedia&method=fetch&key=19688. I have changed the light and contrast of the original photo. Frederic Edwin Church – New Britain Museum of American Art. Title: West Rock, New Haven. Date: 1849. Materials: oil on canvas. Dimensions: 67.3 x 101.6 cm. Source: http://i078.radikal.ru/1404/0a/6546408f409b.jpg. I have changed the light of the original photo. Frederic Edwin Church – private collection? Title: View near Stockbridge, Mass. Date: 1847. Materials: oil on canvas. Dimensions: 69.2 x 101.6 cm. Sold by Sotheby’s in New York, on December 3, 1998. 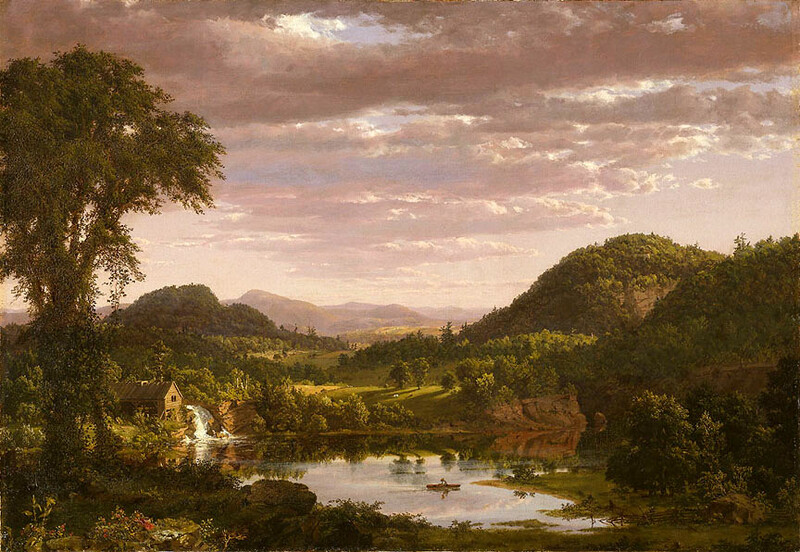 Source: http://2.bp.blogspot.com/-penjkSIq17w/Ucw2GEBietI/AAAAAAAAicI/FHZtF1ecYTU/s1310/1847+View+near+Stockbridge,+Mass.+oil+on+canvas+69.2+x+101.6+cm.jpg. I have changed the light of the original photo.